Talakudong Festival 2011 in Tacurong City a success! Tacurong City's major streets and the show grounds at the city hall compound were all filled earlier with Tacurongnons and visitors coming from different places in the country for the culmination of the Talakudong Festival 2011 and the 11th foundation anniversary of the city. 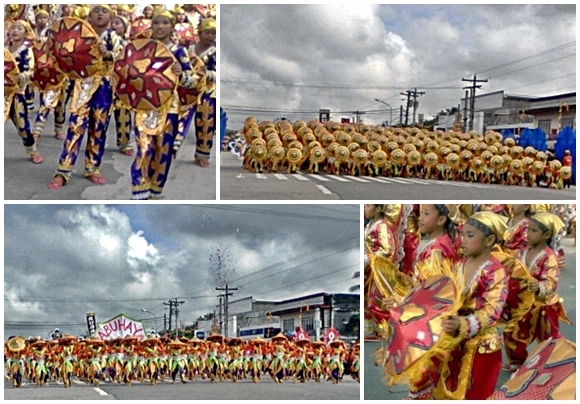 Five teams of street dancers coming from different schools and districts within Tacurong City entertained the crowds with their re-enactment of the story on how the city got its name through rhythmic and exotic exhibition of colorful headgears that is indigenously made out of local materials. Among the guests were Kalamansig Mayor Rolando Garcia and Vice-Mayor Joaquin Concha, Koronadal City Mayor Peter Miguel and Valenzuela City Mayor Erwin Gatchalian while Mayor Inday Sara Duterte of Davao City was the guest speaker, they all received a warm welcome from the people of Tacurong City and the whole LGU headed by City Mayor Hon. Lina Montilla.